As America's favorite candy company, satisfying America's sweet tooth requires an extraordinary collective effort. 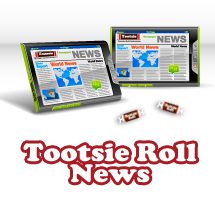 Tootsie rises impressively to the challenge, producing millions of pieces of candy every day from its North American plants. Applying state-of-the-art production technology and exacting quality control checks, Tootsie ensures that every piece of gum, candy, and chocolate that rolls off of its production lines is of the highest, most consistent quality—every time. 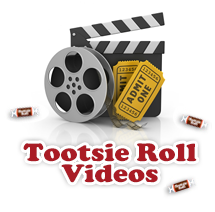 We invite you to view our virtual plant tour videos below that include the making of Tootsie Rolls, Tootsie Pops, Dots, Crows, and More! Have you ever been curious how Tootsie Roll Industries gets the Tootsie Roll into the center of the Tootsie Pop, how DOTS are made, or what color Crows are? Get a first-hand look at how products like Tootsie Rolls, Tootsie Pops, and more are manufactured and packaged. 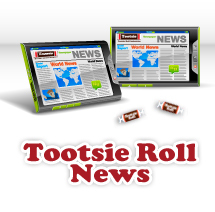 Listen as Mrs. Ellen Gordon and Mr. Melvin Gordon discuss the history of Tootsie Roll Industries, their experience with America's candy favorites, and just how many licks it takes to get to the center of a Tootsie Roll Tootsie Pop!